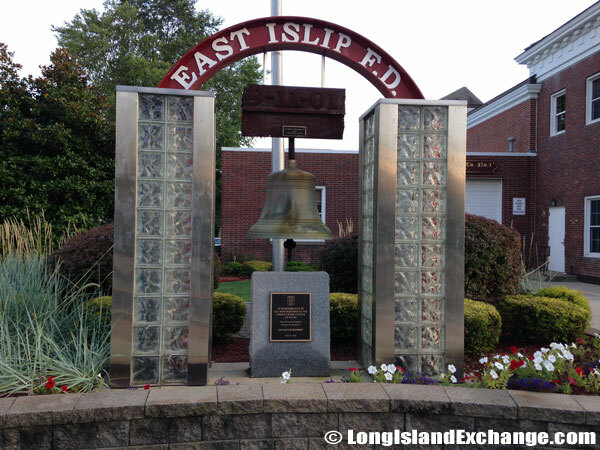 East Islip is a hamlet and census-designated place located in Suffolk County, on the South Shore of Long Island, New York. It is within the Town of Islip. As of the 2010 census, there were a total population of 14,475 with 4,573 households, and 3,731 families residing in the CDP. The median income for a household in the CDP was $97,901 and the median income for a family was $107,074. Males had a median income of $79,289 and $52,910 for females. The latitude of East Islip is 40.731N. The longitude is -73.186W. It is in the Eastern Standard time zone. Elevation is 16 feet. A sign welcomes visitors and residents to the Hamlet of East Islip. 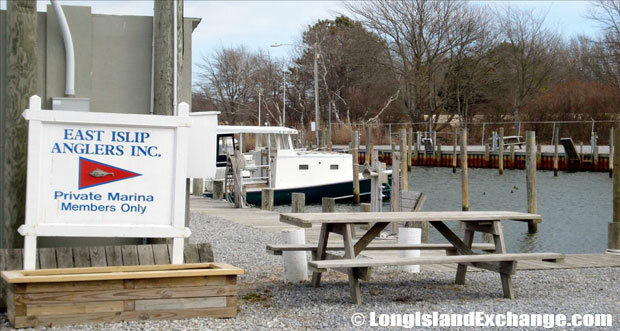 East Islip Anglers & Boating Association Inc., a charitable organization in East Islip that works to promote safe and environmentally sensitive boating. The community name was adopted in 1890 from an English aristocrat named William Nicoll who bought the hamlet on November 29, 1693 to raise a family residence. The land area comprised of 51,000 acres from the Secatogues Indians which include territory reaching east to Bayport, west to Babylon, and north to Lake Ronkonkoma. 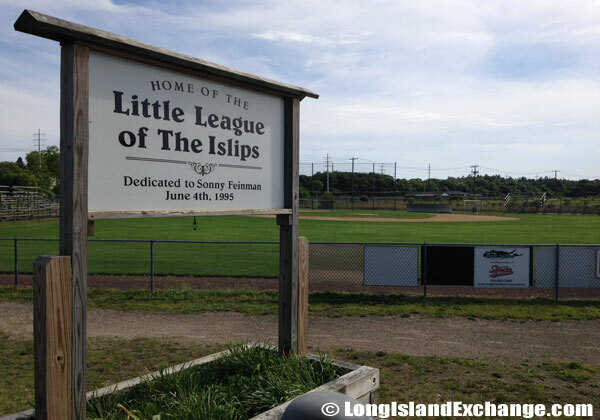 Little League of the Islips accepts boys and girls 5-16 years who reside in the Islip/East Islip School District boundaries. 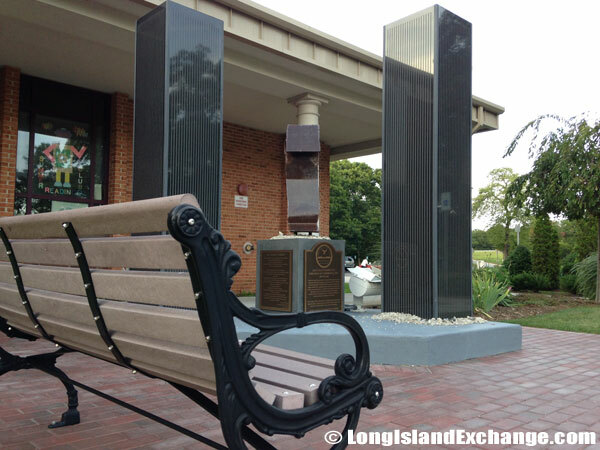 A memorial to September 11, 2001 at the Public Library. 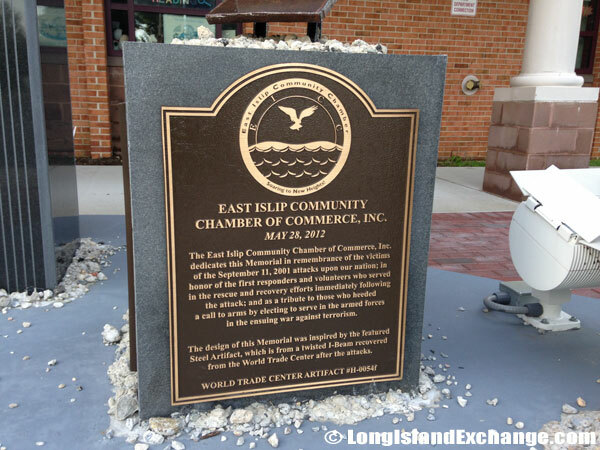 Memorial and World Trade Center Artifact for the September 11 2001 attack, dedicated by the East Islip Chamber of Commerce. 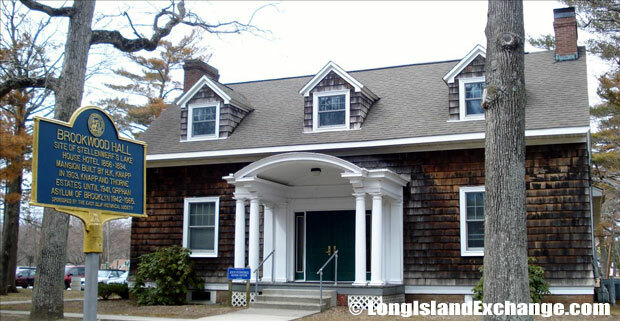 Islip Grange, the name of his mansion which was acquired from his family’s ancestral estate at Northampshire, England abided on the shoreline of the current Heckscher State Park, referred to as Nicolls Neck. East Islip and other neighboring towns were mansion-heavy enclave on Long Island’s South Shore is also home to world renowned families of nobility and old money. Brookwood Hall, a grand Georgian Revival house built in 1903, now home to Islip town offices, the Islip Art Museum and the Islip Arts Council. 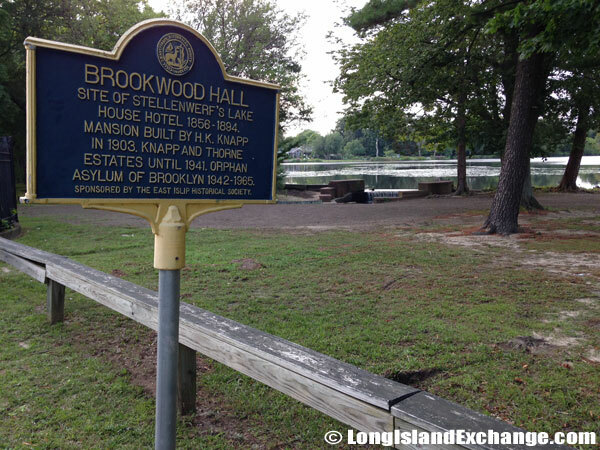 Brookwood Hall, Site of Stellenwerf’s Lake House Hotel 1856-1894. 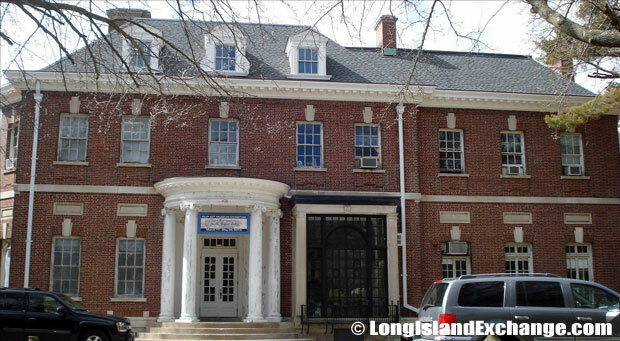 Many notable people resided in the area such as John G. Carlisle (U.S. Secretary of the Treasury), Anthony Cumia (radio personality), Boomer Esiason (NFL quarterback), and Charles L. Lawrance (aircraft engineer). 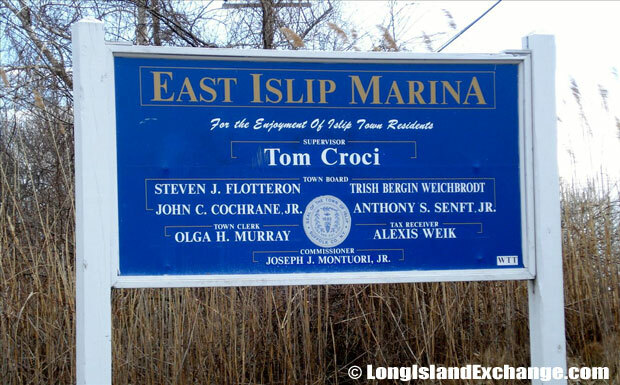 Most of the East Islip resident’s ancestries were Italian, Irish, German, English, and Polish. The East Islip Marina, a water front marina over looking the Great South Bay. 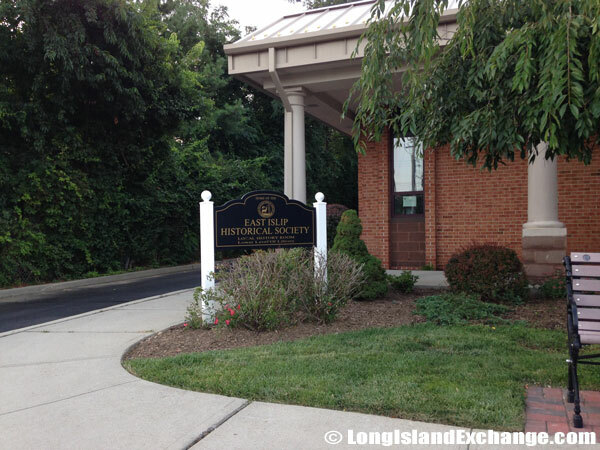 East Islip Historical Society building located in the parking lot of the East Islip Public Library. The East Islip Union Free School District is served the entire area of East Islip helping the students to maximize their ability to attain excellence and preparing them to become responsible citizens. The district has an early childhood center, four elementary schools, one middle school, and a high school. 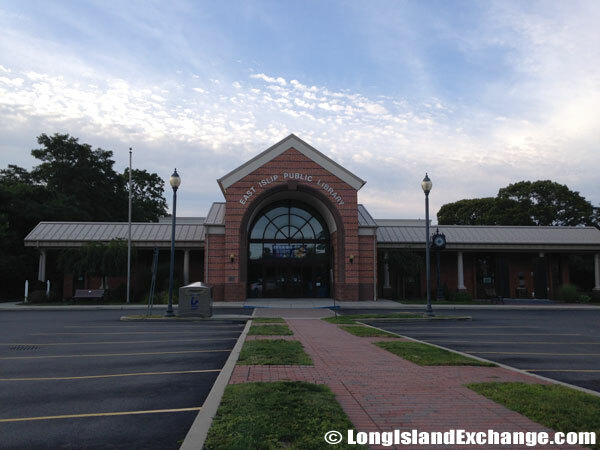 The East Islip Public Library is also served the East Islip School District began on June 21, 1961. 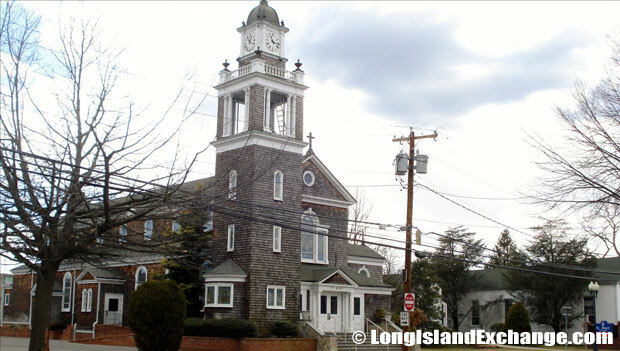 St Marys Roman Catholic Church on Main Street in East Islip, built in 1901 and completed in 1902. 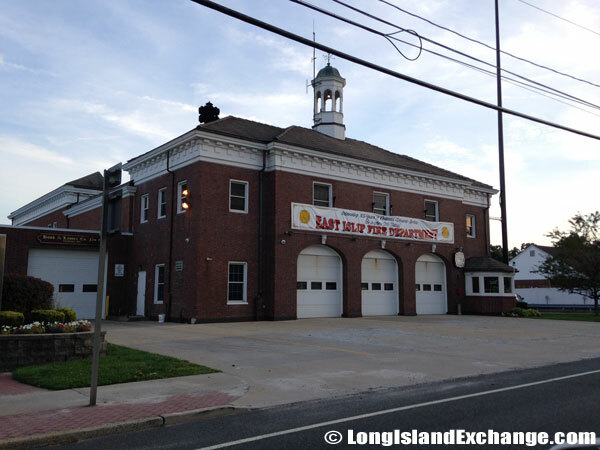 East Islip Fire Department, Main Street. Major expansion and renovation will be designed for better accommodation of the services currently provided in a more efficient and cost-effective manner. Heckscher State Park has complete amenities that offer a beach, picnic tables with pavilions, a playground and playing fields, recreation programs, hiking and biking, fishing, a campground with tents and trailer sites, barbeque’s, cross-country skiing, and much more. The Islip Art Museum presents 5 exhibitions in its galleries annually, and 4 exhibits of artists from the Permanent Collection. The park is also known as the “Home of the White-Tailed Deer” for its abundance of deer throughout the park. 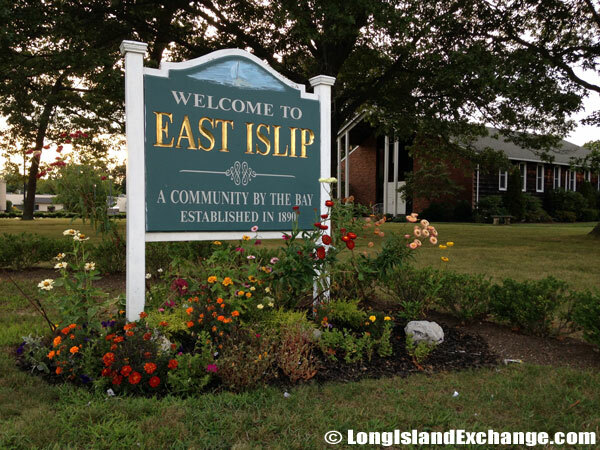 East Islip offers different mix of housing including single-family homes, condos, co-ops, rentals, and senior complexes. Home price starts at a rate of $350,000 for Capes and Colonials up to $1.7 million for High-end houses.